In November, Amazon Cash expanded in Canada by allowing Canadians to add cash to their Amazon balance at the post office. Here’s how Amazon Cash at Coinstar works: Users enter the phone number associated with their Amazon account and insert bills into the cash acceptor on a Coinstar kiosk. An Amazon.com Gift Card is automatically purchased and entered into the user’s Amazon Balance, making it immediately available. Users can load any amount between $5 and $500 at select Coinstar kiosks. 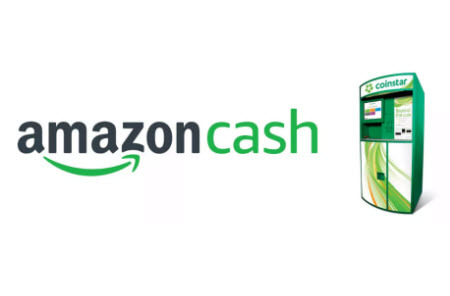 Coinstar announced today that customers can now add cash to their Amazon Balance by using Amazon Cash at select Coinstar kiosks across the country. Amazon customers wishing to spend their cash on Amazon via Coinstar only need to associate their phone number to their Amazon account, which they can do at www.amazon.com/cash. To begin a transaction at Coinstar cash-accepting kiosks, the customer selects “Cash Services,” and then “Amazon Cash.” Next, the customer enters their phone number and inserts bills into the cash acceptor on the kiosk totaling any amount between $5 and $500. An Amazon.com Gift Card is automatically purchased and claimed to the customer’s Amazon Balance and is available for immediate use for eligible items on Amazon.com or select affiliated properties. There is no fee to use this service at Coinstar kiosks.